Rebecca Porta is Chief Executive of Orchid. She has led significant organisational growth since joining the charity in 2008. Under her leadership Orchid has campaigned for better cancer care and developed a range of services for people affected by or interested in male cancer including the Male Cancer Information Nurse programme, the National Male Cancer Helpline, Roadshows, health and education programmes. Rebecca’s career in the voluntary sector spans over 24 years and she has worked for some of the UK’s leading health and medical research charities. Rebecca is a member of ACEVO (Association of Chief Executives of Voluntary Organisations), the Institute of Fundraising, the Chartered Institute of Public Relations (CIPR) and sits on the Committee of the CIPR Health & Medical Group. 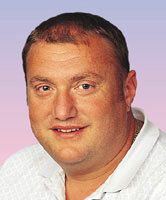 Colin Osborne is a Founder Trustee of Orchid and a former testicular cancer patient. He was diagnosed in 1994 – ironically, he discovered his lump at the same time as his wife discovered she was pregnant with their second child. An ultrasound scan showed the lump was malignant and he underwent surgery. Following this surgery, blood tests and CT scans showed the cancer had spread to his abdomen and Colin’s long fight for survival began. 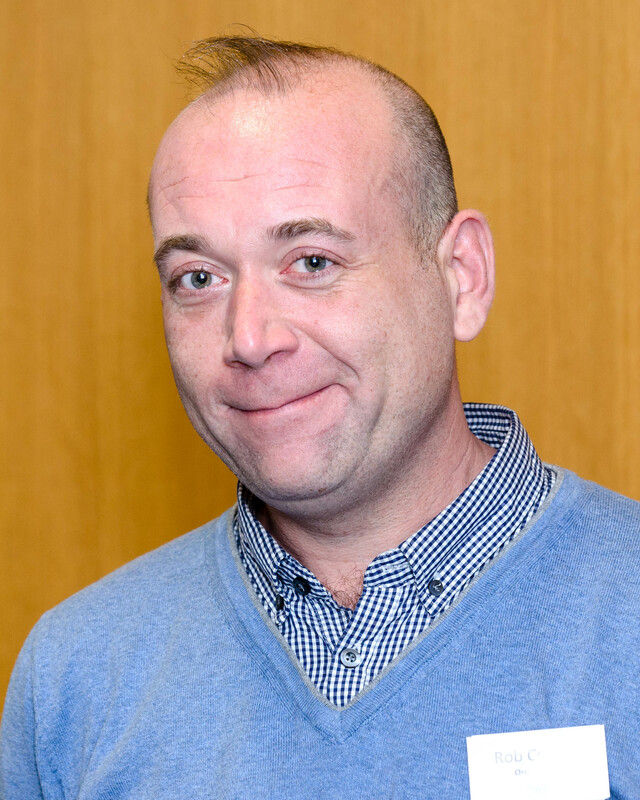 Colin uses his personal experience of battling testicular cancer to raise public awareness of the disease. He has appeared on several television shows – notably “Esther”, “Open House” with Gloria Hunniford and “Good Morning” with Richard and Judy. Articles were featured in most of the national newspapers and magazines as well as local press and radio. 2004 saw Colin win the prestigious Daily Mirror Pride of Britain award, which was featured on ITV and GMTV. Rob Cornes qu alified as a Registered General Nurse (RGN) in 1991 at Barking Havering and Redbridge Hospitals NHS Trust (BHR) where he undertook his training. He began work as a staff nurse on the urology ward and continued to work within urology at BHR for the next 12 years culminating in the role of Charge Nurse from 1997-2003. He left the ward in 2003 and took up a position as a Clinical Trials Nurse through St Bartholomew’s Hospital, a post partially funded by Orchid. In 2004 he became Uro-oncology Clinical Nurse Specialist at BHR. He recently left the role to work as Orchid’s permanent Information Nurse Specialist. He chairs PHASE; a large support group based in Essex for men and their families who have been affected by prostate cancer. Professor Thomas Powles MBBS, MRCP, MD is Clinical Professor of Genitourinary Oncology at the Barts Cancer Institute, Centre for Experimental Cancer Medicine. He qualified from St Bartholomew’s Medical School in 1996 and trained in medical oncology at Imperial College. He completed his post-graduate training in oncology in 2005 and received an MD from the University of London in 2006. His thesis was in mechanisms of resistance to therapy in urology cancers. His main research interests are in genital and urinary cancers, leading a spectrum of clinical studies from phase I to randomised phase III. He is regular spokesperson on male specific cancers, latest research developments, treatments and management issues. Professor John Kelly is a Consultant Urological Surgeon, Professor of Uro-Oncology and Clinical Lead for the largest urology pelvic cancer centre in the UK at University College London Hospitals (UCLH). He is Director of the Chitra Sethia Minimal Access Centre at UCLH which trains the next generation of robotic surgeons from the UK and abroad. His clinical interest are Bladder and Prostate cancer. Professor Kelly has practised at some of the most prestigious organisations in the world. He moved to UCLH in 2009 from Cambridge University, having been a consultant urologist working in complex cancer surgery at Addenbrookes Hospital. Previously, he was a fellow at the Cornell University Hospital in New York. Professor Kelly was the Orchid Chair in Male Genito-urinary Oncology from 2011-2016. Professor Dan Berney MA MB B Chir, FRCPath leads the Orchid Research Tissue Bank in Charterhouse Square, London. 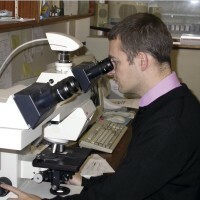 He is one of the UK’s leading genito-urinary pathologists. Our Tissue Bank addresses the lack of a bespoke tissue bank for translational research, providing a link between the laboratory and the clinic. It houses one of the largest collections of penile cancer tissues in Europe and the resource is used by researchers and clinicians from the UK and internationally. Professor Berney’s team continues to collect vital genito-urinary tissue and to construct conventional tissue micro arrays and biopsy tissue microarrays for current and future research and the interrogation of currently used clinic-pathological predictive and prognostic biomarkers. Ali Orhan is Orchid’s Prostate Cancer Information Manager-Nurse Specialist. He leads the programme “Changing lives – engaging black African and Caribbean men at risk of or affected by prostate cancer, as well as men from disadvantaged communities” funded by the Big Lottery Fund. Ali has successfully developed, implemented and managed health awareness programmes for black and minority ethnic communities at the British Heart Foundation, Prostate Cancer UK and the sexual health charity Naz. He is Chairman of the charity, Cancer Equality. He has a wealth of experience in targeting and working with communities to improve health outcomes and engaging healthcare professionals. Ali is also a qualified social worker and trained nurse.